Boston, MA (June 27, 2018) – Boston police responded to numerous injury accidents across the city on Tuesday as they seemingly left one accident scene and went straight to the next. One such accident occurred on Quincy Street around 11:40 pm. After the call came in to police, Officer Kelvin Ervin was dispatched to the scene of the collision. Officer Ervin secured the area and began his investigation. One person was injured in this accident and accepted medical treatment. It is not known at this time whether the injuries sustained are considered to be serious or life-threatening. This portion of Quincy Street was blocked while Officer Ervin investigated but was quickly cleared and re-opened to passing motorists. There is no immediate update on the injured victim or the cause of the crash. The accident remains under further investigation by the Boston Police Department. No word if charges are expected. We are saddened to hear of this injury accident in Boston. Every day, in our law practice we deal with all types of accident victims, whose injuries range from soft tissue, up to catastrophic and permanent. Car accidents are difficult for all involved and there are simply no easy solutions when you or a loved one has been injured unexpectedly in a crash. The aftermath is as bad or worse than the accident itself. 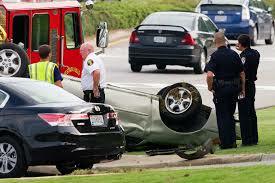 While most people fortunately survive the initial accident, they can be left with a mountain of problems afterwards. Dealing with insurance companies to receive reimbursement for property damage and injuries can be overwhelming to many accident victims without the aid of a good personal injury attorney. In these times, you need a strong advocate who can fight for you to ensure that your legal rights are protected and that the insurance company is forced to offer a fair resolution to your case. At the Law Offices of Jeffrey S. Glassman, our team helps injured accident victims and loved ones of accident victims who have been hurt in crashes. We take a compassionate, yet tough and experienced approach to handling out clients’ cases. Our goal is to get the results you deserve. For a free consultation with one of our attorneys, give us a call today at 617-367-2900.